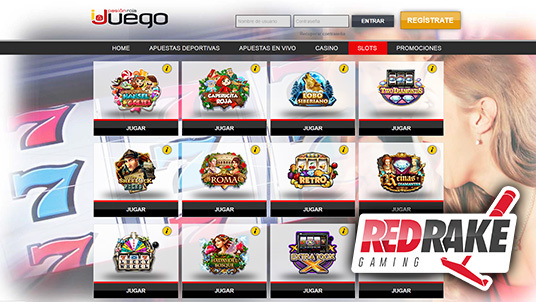 The slot machines designed by Red Rake Gaming, an online casino developer specialising in top quality slot machines and video bingos, are available at ijuego.es, an online casino owned by the Comar group, the leading company in the Spanish gaming sector. The Comar group has chosen to trust in the experience of Red Rake Gaming, which has been creating high quality games since 2011, in order to keep developing its online gaming project. Ijuego.es will be home to more than twenty slot machines, with diverse themes, and different characteristics aimed at a wide range of players. At ijuego.es you can enjoy everything from classic slot machines to innovative slot machines with striking graphics and eye-catching animations. Red Rake Gaming is combining its experience in the online casino games sector with extensive knowledge of different platforms and technologies. This puts Red Rake Gaming in a privileged position as it faces the sector´s future. Thus far, it has created more than 50 slot machines, several video bingos and more than fifteen video poker games. Red Rake Gaming records more than 5 million games per day on its slot machines.